April 2012 – Comedy or Tragedy? As I bring revisions on draft #2 of ABSENT to a close, I’ve taken a brief commercial break to revisit my research. The final third of the novel is set amidst the 1920’s-era excavations at the archaeological site of Ur, Iraq, and as much as my story is about magic and time travel (and adventure! and romance! 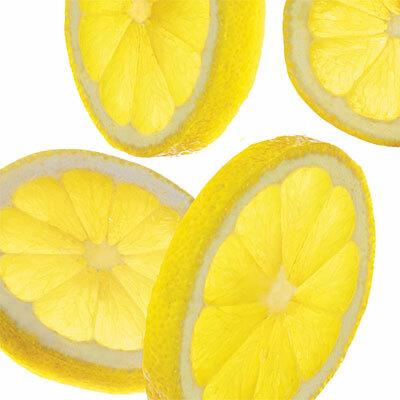 ), I want it grounded in real details. I want it to feel authentic. Reading through the first draft, one thing that struck me was how generic this portion of the novel felt. Sure, I’m an archaeologist and I should be able to bring an archaeological expedition to life in prose, but I work in Central America — literally a world away from Mesopotamia. Plus, I work in the 21st century, not 1925. I realized drawing on my personal experiences wasn’t going to be enough; I needed to go to the source to understand what the Ur Expedition was like. So, I spent the last four days pouring over the Ur Expedition Reports, a series of manuscripts penned by Sir Leonard Woolley to present his interpretation of two decades of archaeological research. And quite a productive few days it has been. 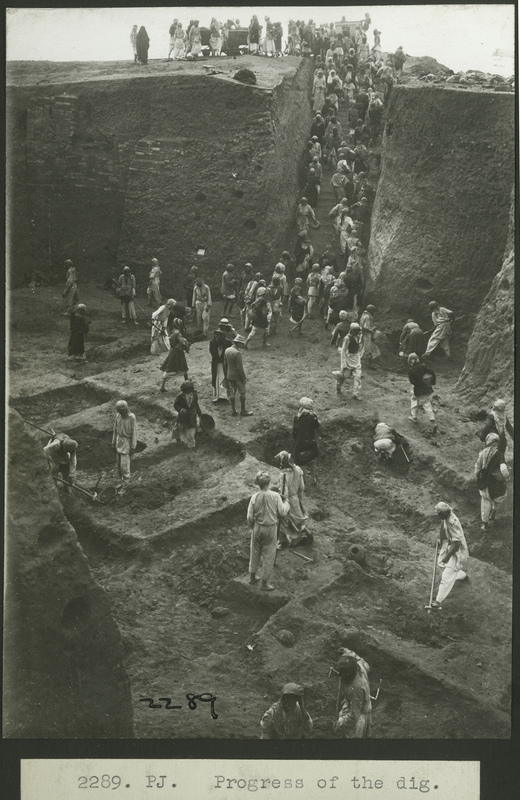 The way archaeological work was conducted in the early part of the 20th century was so different from how we work now. 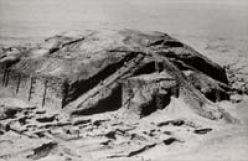 Woolley employed an army of Iraqis to literally peel away millions of tons of soil and expose huge swaths of the ancient city, plowing down through jumbled historical and prehistoric time periods in various parts of the site, including the ziggurat, terrace, cemetery, and surrounding city. The man excavated with a zeal that would be completely unsustainable (and un-fundable) today. My goal in reading up on the excavations wasn’t just to get the specific terminology and time periods of Sumerian archaeology down, but also to find a part of the site for a particular artifact (invented and important to the plot) to be discovered. It needed to come from a part of Ur that would make sense for the artifact (it being religious & political in nature), as well as one under excavation while my characters are there (late 1925-early 1926). I combed through the reports and finally found the perfect spot, a part of the Court of Nannar excavated more or less within my time frame. The spot in question is a sunken room sealed with bricks and buried beneath a destroyed building inside the court. Woolley describes it as a possible gigunus (translated as “the dark dwelling” or “the place which should not be looked upon”) — the perfect spot for a dangerous object to have been hidden away. Woolley’s reports were also surprisingly useful for capturing the mood of the setting. The story takes place in the winter, apparently an unlovely time of year out at the site. For hints as to what life was like on the dig and around the expedition house, fate has lent me an additional boon. 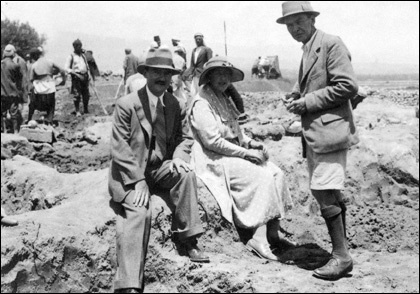 The late, great Agatha Christie herself visited the Ur expedition in the 1930’s. She not only spent some time there (and met her future husband, Max Mallowan) but she also set one of her novels, Murder in Mesopotamia, in the expedition house. The novel is full of lovely details, including a map of the layout of the expedition house and plenty of descriptions penned by someone who’d spent time there. Between the Expedition Reports, Agatha Christie’s novel, a treasure trove of old photographs found online (like those included in this post), and my own not-infertile imagination, the generic planes of the final third of ABSENT are starting to pop up into something resembling a real place full of real people. Now, to finish the damn thing.